Do you have your own website or maintain the website of the company you work for? Of course, to do this right, you need to keep a keen eye on the performance of your website. 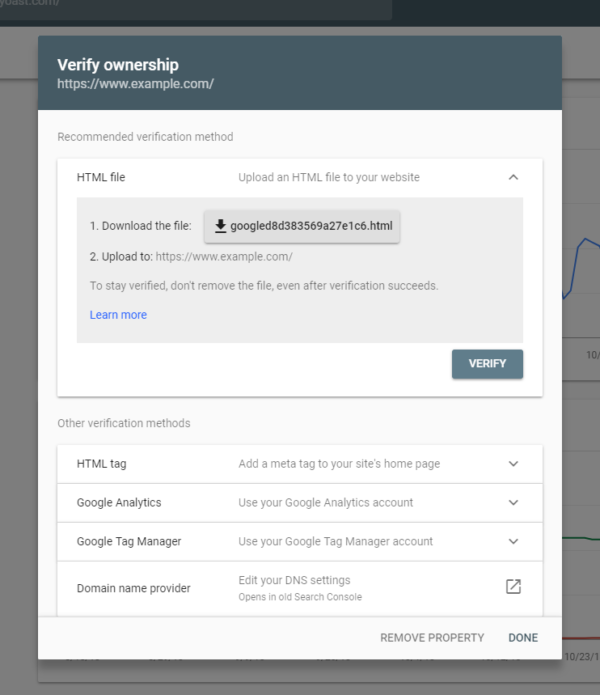 Google offers several tools to collect and analyze data of your website. You probably have heard of Google Analytics and Google Search Console before. These tools are free to use for everyone maintaining a website and can give you very valuable insights about your website. 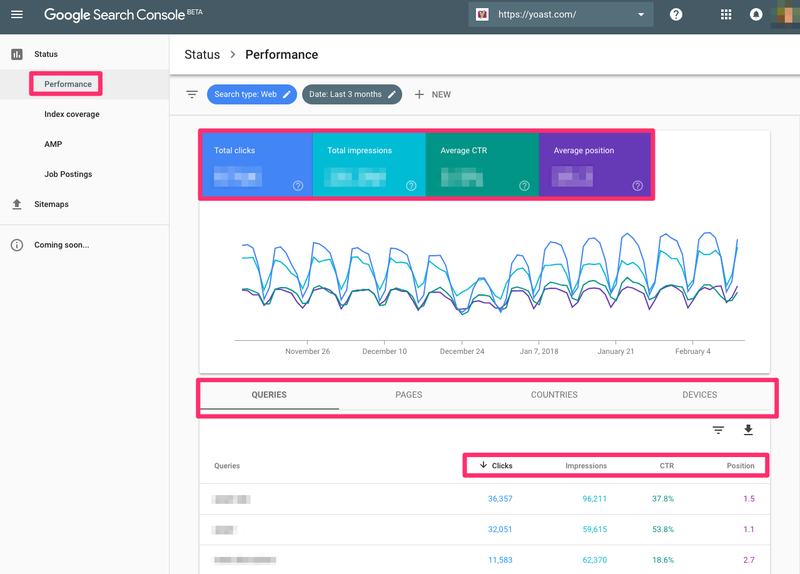 Google Search Console has been created to easily track the performance of your website. 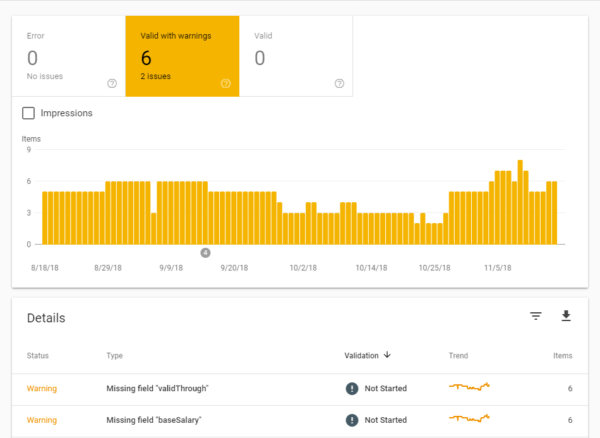 You can get valuable insights out of your Google Search Console account which means that you can see what part of your website needs work. This can be a technical part of your website, such as an increasing number of crawl errors that need to be fixed. This can also be giving a specific keyword more attention because the rankings or impressions are decreasing. 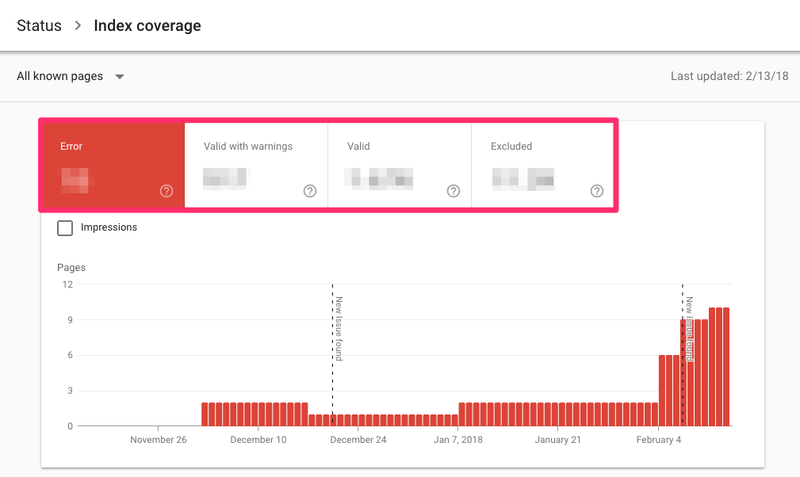 Besides seeing this kind of data, you’ll get mail notifications when new errors are noticed by Google Search Console. Because of these notifications, you’re quickly aware of issues you need to fix. When you’ve added a website, you need to verify that you’re the owner. There are several options to verify your ownership. 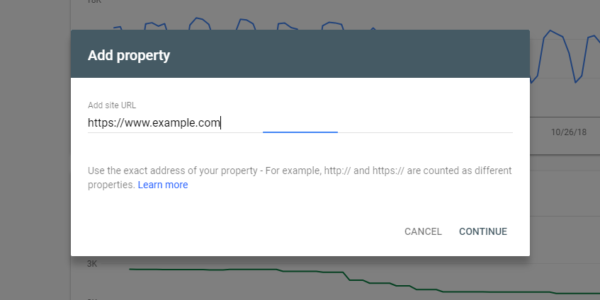 After saving this, you can return to Google Search Console and click on the ‘Verify’ button to confirm. If everything is ok, you’ll get a success message and GSC will start collecting data for your website. Now you’ve set up your account what would be the next step? Well, it’s time to look at some of your data! We’ll explore some of the reports and information available in the rest of this article. Within the performance tab, you can see what pages and what keywords your website ranks for in Google. In the old version of GSC you could see the data of a maximum of the last 90 days but in the new version, it’s possible to see the data up to 16 months. Keep in mind that the data is available from the moment you set up your account. The amount of clicks tells you how often people clicked on your website in the search results of Google. This number can tell something about the performance of your page titles and meta descriptions: if just a few people click on your result, your result might not stand out in the search results. It could be helpful to check what other results are displayed around you to see what can be optimized for your snippet. The position of the search result also has an impact on the number of clicks of course. If your page is in the top 3 of Google’s first result page it will automatically get more clicks than a page that ranks on the second page of the search results. The impressions tell you how often your website in general or how often a specific page is shown in the search results. For example, in the GSC account of our own website, Yoast SEO is one of the keywords our website ranks for. The number of impressions shown after this keyword shows how often our website is shown for that keyword in the search results of Google. You don’t know yet what page ranks for that keyword. After that, you could navigate to the ‘Pages’ tab to see what pages exactly rank for this keyword. Are those pages the ones you’d want to rank for that keyword? If not, you might need to optimize the page you’d like to rank. Think of writing better content containing the keyword on that page, adding internal links from relevant pages or posts to the page, making the page load faster, etc. The CTR – Click-through rate – tells you what percentage of the people that have seen your website in the search results also clicked through to your website. You probably understand that higher rankings mostly also lead to higher click-through rates. However, there are also things you can do yourself to increase the CTR. For example, you could rewrite your meta description and make it more appealing. When the description of your site stands out from the other results, more people will probably click on your result and your CTR will increase. Keep in mind that this will not have a big impact if you’re not ranking on the first page yet. You might need to try other things first to improve your ranking. The last one in this list is the ‘Average position’. This tells you what the average ranking of a specific keyword or page was in the time period you’ve selected. Of course, this position isn’t always reliable since more and more people seem to get different search results. Google seems to understand better and better which results fit best for which visitor. However, this indicator still gives you an idea if the clicks, impressions and the average CTR are explainable. A more technical but very valuable tab within Google Search Console is the ‘Index coverage’ tab. 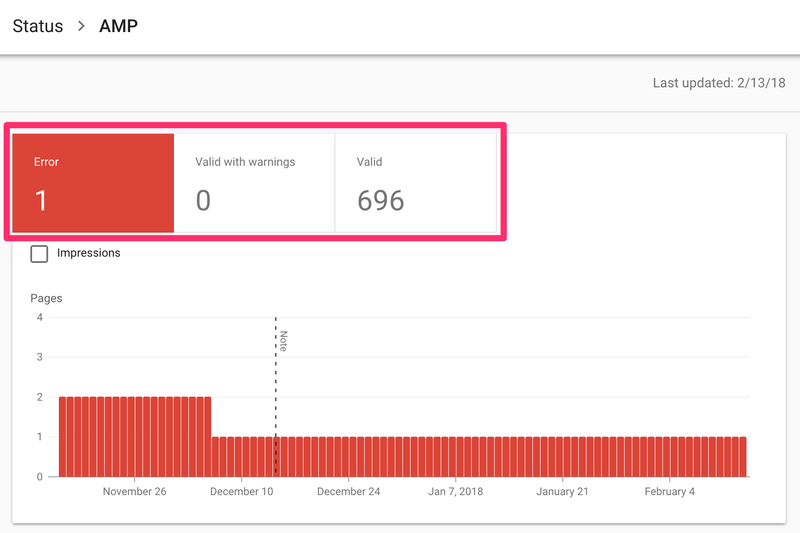 This section shows how many pages are in the index of Google since the last update, how many pages aren’t and what errors and warnings caused difficulties for Google indexing your pages properly. We recommend checking this tab regularly to see what errors and warnings appear on your website. However, you also get notifications when Google has found new errors. When you get such a notification you can check the error in more detail here. You may find that errors are caused when, e.g., a redirect doesn’t seem to work correctly, or Google is finding broken code or error pages in your theme. If you’re writing new content, your indexed pages should be a steadily increasing number. This tells you two things: Google can index your site and you keep your site ‘alive’ by adding content. Watch out for sudden drops! This might mean that Google is having trouble accessing (all of) your website. Something may be blocking Google; whether it’s robots.txt changes or a server that’s down: you need to look into it! Sudden (and unexpected) spikes in the graph might mean an issue with duplicate content (such as both www and non-www, wrong canonicals, etc. ), automatically generated pages, or even hacks. We recommend that you monitor these types of situations closely and resolve errors quickly, as too many errors could send a signal of low quality (bad maintenance) to Google. Below the chart, the issues are listed. If you click on one of the issues, you can see the affected URLs. Just as in the index section of GSC you can validate your fix if you’ve fixed an issue. Within this tab, you’ll be able to list your job openings and to track their performance. If there are any errors, you’ll see them in here. It’s not the most important feature of GSC, but it can be valuable for specific companies or websites. This section provides useful feedback on your structured markup for events. Events can be complex to tag up correctly, so this can be an extremely helpful report for finding out where you need to tweak details like dates and location! An XML sitemap is like a roadmap to all important pages and posts on your website. We think every website would benefit from having one. 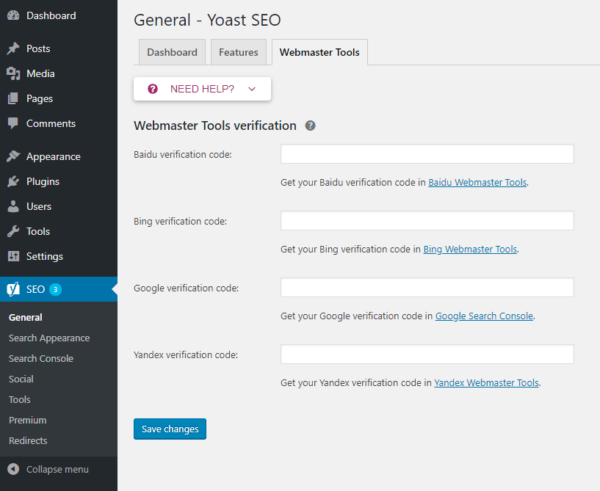 Is our Yoast SEO plugin running on your website? Then you automatically have an XML sitemap. If not, we recommend creating one to make sure Google can find your most important pages and posts easily. We recommend everyone entering the URL of their XML sitemap into GSC to make Google find it easily. In addition to that, you can quickly see if your sitemap gives errors or if some pages aren’t indexed, for instance. Checking this regularly, you’re sure Google can find and read your XML sitemap correctly. We recommend regularly checking the XML sitemap section in our plugin to manage which post types or taxonomies you’re including in your sitemaps! Within the links to your site section, you can see how many links from other sites are pointing to your website. Besides, you can see what websites link, how many links those websites contain to your site and lastly, what anchor texts are used most linking to your website. This can be valuable information because links still are very important for SEO. Within the internal links section, you can check what pages of your website are most linked from other spots on your site. This list can be valuable to analyze regularly because you want your most important pages and posts to get most internal links. Doing this, you make sure Google understands as well what your cornerstones are. The mobile usability tab within this section shows you usability issues with your mobile website or with specific mobile pages. Since mobile traffic is rising all over the world, we recommend checking this regularly. If your mobile site isn’t user-friendly, lots of visitors will leave it quickly. The manual actions tab is the one you don’t want to see anything in. If your site is penalized by Google, you’ll get more information in here. If your site is affected by a manual action, you’ll also get messaged via email. Make sure from and to your site are valuable, not just for SEO. Preferably your links come from and link to related content that is valuable for your readers. A message stating your site’s probably hacked by a third party. Google might label your site as compromised or lower your rankings. If you’re ‘cloaking’ (that is, intentionally showing different to content than to users, for the purposes of decieving either of them), or using ‘sneaky’ redirects (e.g., hiding affiliate URLs), then you’re violating of Google’s Webmaster Guidelines. Automatically generated content, scraped content and aggressive cloaking could cause Google to blacklist your site. If you use rich snippets for too many irrelevant elements on a page, or mark up content that is hidden to the visitor, that might be considered spammy. Mark up what’s necessary, and not everything is necessary. 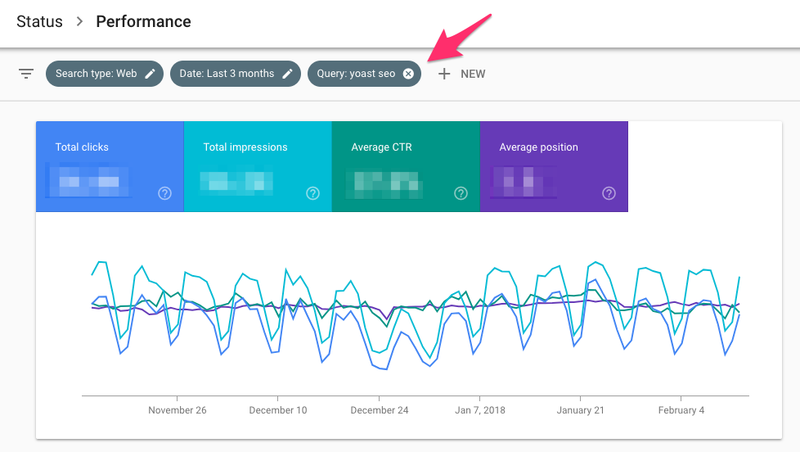 As you might have noticed not all features are integrated yet into the new version of Google Search Console. Google explains that this could have two reasons: they may have found a better way of presenting the data or they’re still in the process of migrating the feature to the new version. As said before, we’ll update this post when there’s progress made in the migration. The old version of GSC is still available for everyone. So, why should you switch back to the old version once in a while? We’ll list the features that are missing in the new version, but that seems valuable to keep an eye on, below. 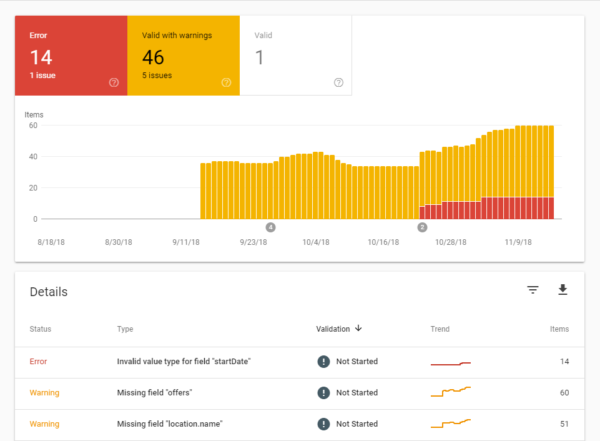 From the ‘Search appearance’ section of the old Google Search Console, we miss the following features in the new version: ‘Structured data‘, ‘Rich cards‘, ‘Data highlighter‘ and the ‘HTML improvements‘. If you’ve added structured data to your website we recommend checking the structured data tab of the old version regularly. Here you’ll see if all structured data is recognized by Google and errors will be listed. If you’ve added structured data meant for rich cards, you can check for errors in the rich cards tab. The data highlighter can be used to markup your pages without having to code yourself. 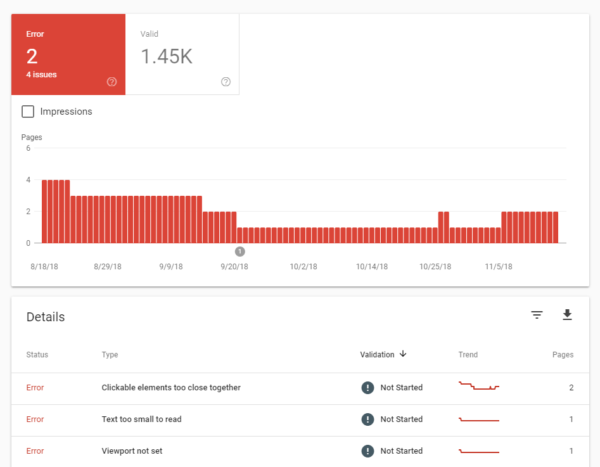 You can read more in-depth about Google Search Console and structured data here. In the last missing feature of the search appearance tab, the HTML improvements, you can easily check, for instance, for duplicate titles or quite short titles which can be improved. These listings can be an easy pick: optimizing your titles and meta descriptions might increase your rankings and CTR. The international targeting tab is important for websites who have pages in different languages and who target people in different countries or regions. When you’ve implemented hreflang to your website, you can check for errors within this section of GSC. In the crawl tab, you can find the sections ‘Crawl errors’, ‘Crawl stats’, ‘Fetch as Google’, ‘Robots.txt tester’, ‘Sitemaps’ and ‘URL parameters’. It seems that you can find some crawl errors in the new index coverage tag but if we look at our account, we don’t see all crawl errors in the new version. This means that it’s important to check your crawl errors still in the old version of GSC. When you’ve fixed a crawl error you can mark it as fixed. The crawl stats aren’t included yet so you can find those stats in the old version. The crawl stats tell you something about how many pages are crawled per day, how many kilobytes are downloaded per day and how many time was spent downloading a page. If one of the graphs seem to decrease, you know it’s time to do something about it. The fetch as Google feature gives you the opportunity to see if Google can access a specific page correctly, how it exactly renders the page and if there are blocked resources on the page. You can test your pages both for desktop as for mobile to see the differences between those. The robots.txt tester is made to add your robots.txt and to test if any errors or warnings seem to appear. You can also add specific URLs to check whether they’re blocked or not. The sitemaps are already moved to the new version of GSC so it’s time for the last feature of the crawl tab: URL parameters. In the URL Parameters section, you can add parameters for your website and ‘tell’ Google how they should be handled. If you want to use this, we recommend reading the guidelines carefully. Don’t just add some parameters to see what happens. This can cause serious problems with your site’s SEO. Last but not least: within the security issues tab you’ll get a notification when your website seems to have a security issue. Do you already use Google Search Console for your website? If not, we definitely recommend creating an account so you can start collecting data about your website. Do you think something is missing? Feel free to leave a comment! The post The beginner’s guide to Google Search Console appeared first on Yoast. 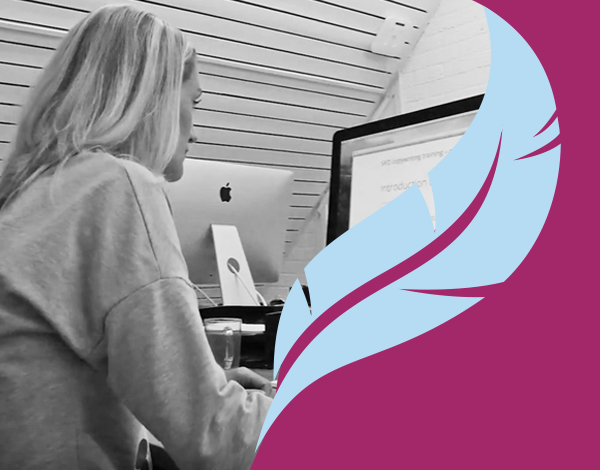 In our Ask Yoast case studies we give SEO advice for websites in a specific market or industry. 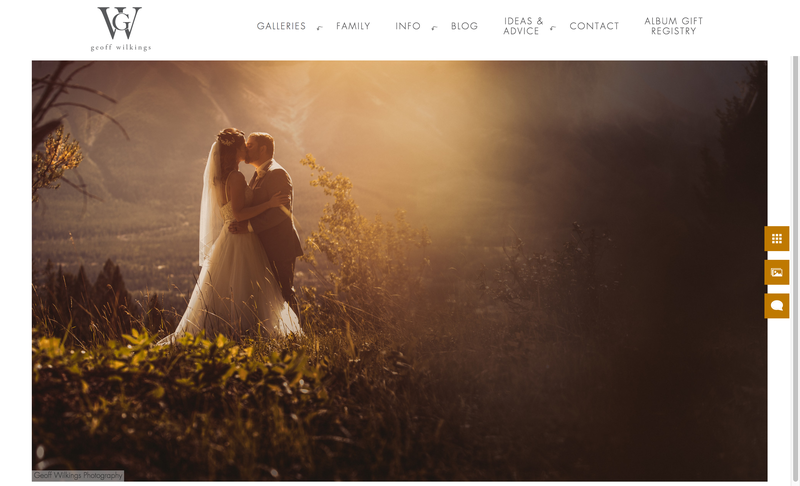 This time: the website of Slemish Design Studio Architects, the business site of an architect duo. The architects told us that they get great responses from their clients, but is their website optimized for search engines as well? We’ll dive into this architectural website to see what improvements can be made to enhance their site’s SEO. The first page we land on is the homepage. We see lots of full screen images of the great work these architects deliver on top of the homepage. Though impressive, the images are shown in a slider. Loyal readers of our blog know that we’re not a big fan of sliders. Many experiments show why you shouldn’t use a slider on your website. Only 1% of your visitors will actually click on a slider, they slow down your website and lots of visitors ignore sliders because of banner blindness. Just to name a few. Looking at this specific website, the slider images are very big as well. The textual content of the homepage is pushed down. 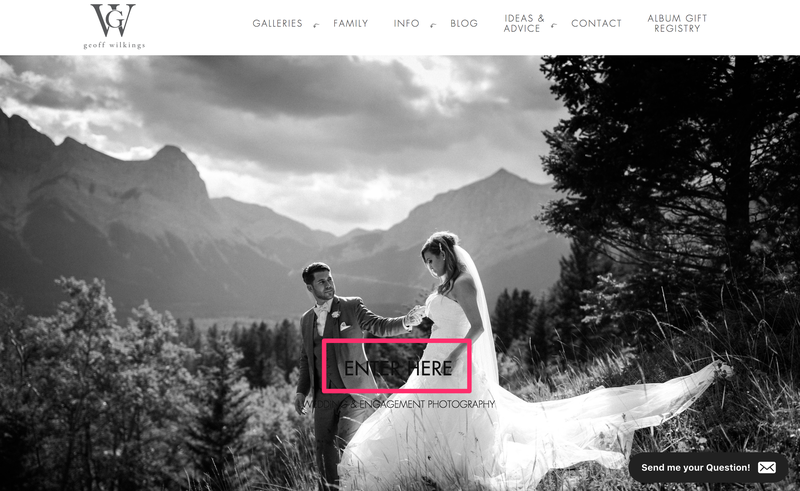 We recommend showing some smaller images on top of the site, instead of the slider, and adding some clear introductory content just below these images. Try adding your USPs to the introductory content: Why should visitors choose you as their architect? On the ‘The Studio’ page, we notice a tab ‘What we do’. This tabbed content tells visitors what kind of work you do and what type of services you offer. Because of the relevancy of this content, we think these services deserve their own menu item. Visitors who want to know more about your team and your company may click on ‘The Studio’. However, they might not expect to find the services you offer there. In addition to that, your services are great subjects to write about. Writing nice informational copy about your services will increase your chance of ranking for keywords related to these services. When you add sufficient relevant content, Google will understand that your website has content for people looking for services like yours. This means those people will easily find you. The more your content seems to fit to the needs of people who search for these keywords, the higher you’ll rank in the future. Make sure you optimize one specific page or post for one subject/keyword. When you optimize one page for more keywords that are too different, it’s unclear for Google what the main subject of the page is. Pages that contain a lot of information about the keywords you really want to rank for, should become your cornerstone content pages. This blog post about cornerstone content explains in detail what cornerstone content means and this blogpost shows you how to incorporate cornerstone content into your website. Lastly, we think you can improve your content as well by adding more copy to your project pages. Consider writing a nice text about the planning stage of the project, the building stage and the delivery stage of the project, for instance. In this copy you can add relevant keywords for your business. In addition to that, this allows you to internally link to your cornerstone content pages from your project pages. When you decide to write more copy for your website in the future, make sure the pages and posts have a great heading structure. On your current pages and posts, we noticed that your logo is an H1 heading. However, the H1 heading should describe the main subject of a particular page on your site to help Google understand what the subject of that specific page or post is. Your company name/logo has an H1 tag now, which means that your company name would be the main subject of this page. While in fact, ‘The studio’ is the main subject of the page. So you should change the H2 heading of ‘The studio’ into an H1 heading. Just remove the H1 heading from the logo on every page of the website. We’d advise to check all of your pages and posts and only add one H1 heading, that describes what can be found on there, on each page. You’ll need to add relevant keywords to your page titles to help Google understand what your pages are about. Since page titles are still one of the most important ranking factors it’s important to optimize those to the fullest. Adding all different locations to your page title makes it unclear what your website is about. Moreover, the snippet doesn’t look very enticing to click on in the search results. This might cause a low CTR, or click-through rate. If you want to rank for all the different locations, adding separate pages with unique page titles and content for every location would be a better idea. We’d advise to create appealing page titles and make sure they describe what can be found on that specific URL. For the homepage, use your USP and add a call-to-action such as ‘See our projects here’ to make people click on your page in the search results. Don’t you think a snippet like this will be more appealing to potential visitors? On top of that, it’s important to be consistent in your branding. Add your company name to every page title. If you do that, people will recognize your page in the search results more easily, because of the brand name in every page title. Having a blog can be very beneficial for SEO. Adding posts regularly makes it easy to add content about relevant keywords to your website. It helps you to start ranking for new keywords and to keep ranking for the keywords you already rank for. Google could consider this post as a thin content page, which could hurt your website’s rankings. Since pages like these don’t add much value to your website, you’d better add more content or remove them from your website. Besides the benefits of adding more content about relevant keywords to a blog, a blog also gives you an opportunity to add more internal links to your most important pages and posts. For example, when you’ve created a separate page for the service ‘Sun Rooms’ you could write a blog post about new innovations for sun rooms. From that post you can add an internal link to the page about the ‘Sun Rooms’ service. Doing this consistently, that service page – which could be a great cornerstone content page if you add sufficient content – will become a better search result, according to Google. In addition to internal links within a text, you can add a popular, recent or related posts section to the blog. The sidebar is often used to add sections like these. These links in the sidebar will give the posts they link to some extra link value. Lastly, adding your blog’s categories to the sidebar will give your category pages some more link value too. Consider doing this if you want to rank with your category pages. The longer visitors have to wait for your website to load completely, the more likely it gets that some of them will ‘bounce’ back to the search results. A long loading time frustrates visitors, so they might leave your website before seeing any relevant content. Google uses bounce rate, among other things, to determine if a website provides visitors with a good result. When lots of visitors bounce back to Google’s search results quickly, that isn’t a good sign. You might understand that this can harm your rankings. On top of that, page speed is an actual ranking factor. Google understands that a website with bad loading times probably isn’t the best result. Similar websites that load faster are likely to end up higher in the search results. 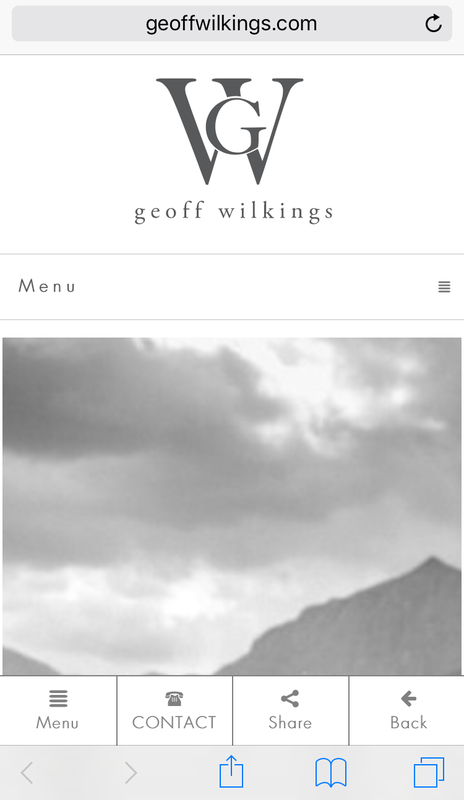 We’ve tested the website of Slemish Design Studio Architects and we found a score of 24/100. The score is in red and this means that there’s work to do! Just follow the advice Google gives in the page speed tool as this leads to both a better user experience, as well as better rankings. It was a pleasure analyzing the website of this architect duo. You show some amazing work in the images on the website! Adding a cleaner homepage with a clear call-to-action could result in more conversions, so more actual clients. Also, specific pages for all your services could be valuable for both Google and visitors. Basically, our most important SEO advice is: make sure Google understands what your website is about. This means you’ll need to write relevant content about keywords you’d like to rank for. Furthermore, optimizing your site’s metadata – like titles and meta descriptions – and headings would be beneficial. With internal links you can connect your content and give your most important pages extra value. And last, but definitely not least, making your website load faster will really improve your site’s SEO and user experience! What is an XML sitemap and why should you have one? A good XML sitemap is a roadmap to all important pages of a website. This roadmap guides Google to all main content on a website. Having an XML sitemap can be beneficial for SEO, as Google can retrieve essential pages of a website very fast, even if the internal linking of a site isn’t flawless. Here, we’ll explain what XML sitemaps are and how they help you with your rankings. The XML sitemap above shows the XML sitemap of the Yoast website, which the Yoast SEO plugin created. If you read further down the article, we’ll explain exactly how our plugin helps you create the best XML sitemaps. If you’re not using our plugin, it could be that your own XML sitemap looks a bit different but it will work the same. The date at the end of each line tells Google when we’ve last updated the post. This is beneficial for SEO because you want Google to crawl your updated content fast. When a date in the XML sitemap changes, Google knows that there is new content to crawl and index. Sometimes it’s necessary to split an index XML sitemap because of the number of URLs in it. The limit to the number of URLs in one separate XML sitemap is set to 50.000 URLs. This means, for example, that if your website has over 50.000 posts, you should add two separate XML sitemaps for the post URLs. So, you’re actually adding another index XML sitemap. 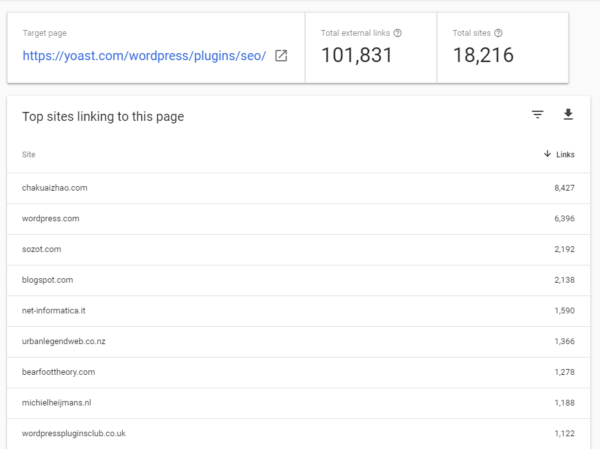 We’ve set the limit to 1.000 URLs in the Yoast SEO plugin to keep your XML sitemap loading fast. What websites need an XML sitemap? If we look at Google’s documentation, they say that XML sitemaps are beneficial for “really large websites”, for “websites with large archives”, for “new websites with just a few external links to it” and for “websites which use rich media content”. We agree that these types of websites will definitely benefit from having an XML sitemap. However, at Yoast, we think an XML sitemap is beneficial for every website. On each website, you want Google to easily find the most important pages and to know when you’ve last updated those pages. That’s why we’ve added this function to the Yoast SEO plugin. Which pages should be in your XML sitemap? How do you decide which pages you need to include in your XML sitemap? Always start by thinking of the relevancy of a URL: when a visitor lands on a specific URL, is it a good result? Do you want visitors to land on that URL? If not, that URL probably shouldn’t be in your XML sitemap. However, if you really don’t want that URL to show up in the search results you’ll need to add a ‘noindex, follow’ tag. Leaving it out of your XML sitemap doesn’t mean Google won’t index the URL. If Google can find it by following links, Google can index the URL. Let’s take the example of a new blog. The owner wants Google to find new URLs of the blog fast to make sure his target group can find his blog in Google. So it’s a good idea to create an XML sitemap right away. The owner has created some describing categories for the first posts and he has written the first posts. He has also set up some tags to start with. However, he doesn’t have enough content yet to fill the tag overview pages with. Since these tag overview pages contain “thin content”, it’s not valuable to show them to the visitors yet. It’s, therefore, better to leave the tag’s URLs out of the XML sitemap for now. In this case, the tag pages could also be set to ‘noindex, follow’ because you don’t want people to land on those URLs from the search results. Another example of an unnecessary XML sitemap – in most cases – is the ‘media’ or ‘image’ XML sitemap. Since your images are probably used within your pages and posts, the images are already included in your ‘post’ sitemap or your ‘page’ sitemap. Adding a separate ‘media’ or ‘image’ XML sitemap would be redundant. We recommend always leaving this one out of your XML sitemap. Only when images are your main business you can make an exception. When you’re a photographer, for example, you probably do want to show a separate ‘media’ or ‘image’ XML sitemap to Google. If you want Google to find your XML sitemap fast, you have to add it to your Google Search Console account. You can find the sitemaps in Search Console by navigating to ‘Crawl’ and then clicking on ‘Sitemaps’. You’ll immediately see if your XML sitemap is already added to Search Console. If not, click on the ‘Add/Test sitemap’ button which you see on the right of the arrow in the image below. As you can see in the image, adding your XML sitemap can be helpful to check whether all pages in your sitemap are really indexed by Google. If there is a big difference in the ‘submitted’ and ‘indexed’ number of a certain sitemap, we recommend analyzing this further. Maybe an error prevents some pages from being indexed or perhaps you should just add more content or links to the content that’s not indexed yet. Because of the importance of XML sitemaps, we’ve added this functionality to our Yoast SEO plugin. XML sitemaps are available for both the free and the premium version of the plugin. In the tabs below the ‘enabled’ or ‘disabled’ toggle, you can find the different sitemaps you can in- or exclude from your XML sitemap: Users/Authors, Post Types and Taxonomies. On top of that, you can also exclude specific posts from the XML sitemap if you think the content of that post isn’t valuable enough. Check your own XML sitemap! Now you’ve read this complete post, you know it’s important to have an XML sitemap, because having one can help your site’s SEO. Google can easily access your most important pages and posts if you add the right URLs to your XML sitemap. In addition to that, Google can also find updated content easily, so they know if a certain URL needs to be crawled again. 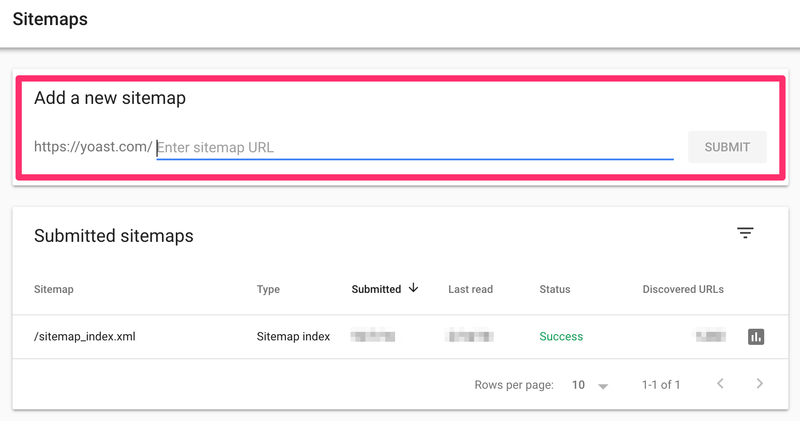 Lastly, adding your XML sitemap to Google Search Console helps Google find your sitemap fast and, besides that, it allows you to check for sitemap errors. Now go check your own XML sitemap and see if you’re doing all of this correctly! Internal linking for SEO: Why and how? Before your content can rank, it needs links. Google finds your posts and pages best when they’re linked to from somewhere on the web. 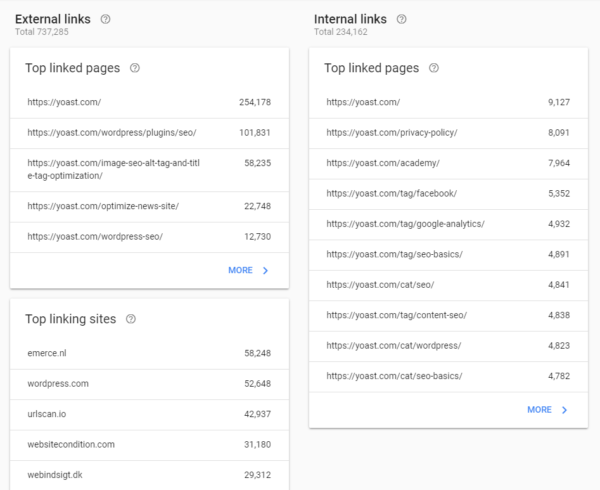 Internal links also connect your content and give Google an idea of the structure of your website. They can establish a hierarchy on your site, allowing you to give the most important pages and posts more link value than other, less valuable, pages. So using the right internal linking strategy can boost your SEO! Did you know our Site structure training can help you figure out how to build the best possible structure for your site? You’ll learn all about cornerstone content, taxonomies, internal linking and much more. Try it out, you’ll love it! Why are links important to Google? Google uses links to find out what content on your site is related and the value of that content. Google crawls websites by following links, internal and external, using a bot called Google bot. This bot arrives at the homepage of a website, starts to render the page and follows the first link. By following links Google can work out the relationship between the various pages, posts and other content. This way Google finds out which pages on your site cover similar subject matter. On top of this post, for example, you’ll see links to the ‘Content SEO’, ‘Internal linking’ and ‘Site structure’ tags. We make sure Google understands that the content on those pages is related to the content of this post by adding these links. In addition to understanding the relationship between content, Google divides link value between all links on a web page. Often, the homepage of a website has the greatest link value because it has the most backlinks. That link value will be shared between all the links found on that homepage. The link value passed to the following page will be divided between the links on that page, and so on. Therefore, your newest blog posts will get more link value if you link to them from the homepage, instead of only on the category page. And Google will find new posts quicker if they’re linked to from the homepage. When you get the concept that links pass their link value on, you’ll understand that more links to a post mean more value. Because Google deems a page that gets lots of valuable links as more important, you’ll increase the chance of that page ranking. Every website consists of internal and external links. Internal links connect pages and posts on your own website and external links connect your pages to other websites. In this post, we’ve focus on internal links and what they mean for SEO. If you want to get more external links pointing to your site, see our posts on link building. and the value of pages. 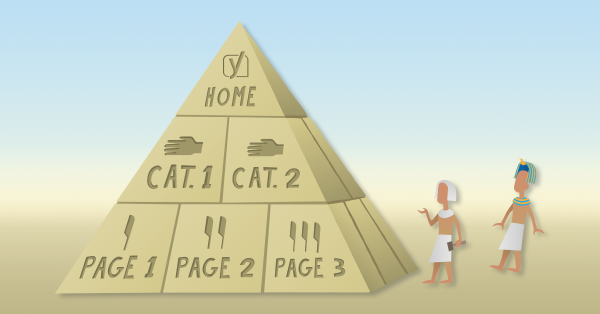 We always advise website owners to imagine their website to be a pyramid. On top of it is your homepage, below that there are some sections or categories, and further down there are individual posts and pages (possibly with subcategories in between). If you do it well, your website’s menu should reflect this structure. In our Ultimate guide to site structure you can read how to create the best site structure for your site. What is your most important content? Then, you should determine what your most important content is. If you’re not sure, please read our article on cornerstone content. In short, it’s your best and most complete content; it’s about the core of your business. It’s the content you want people to find when they’re searching for a topics or products that you specialize in. Because you want to let Google know that this is your most essential content, you need to add many links to it. There are various spots from where you can link to your cornerstone content. 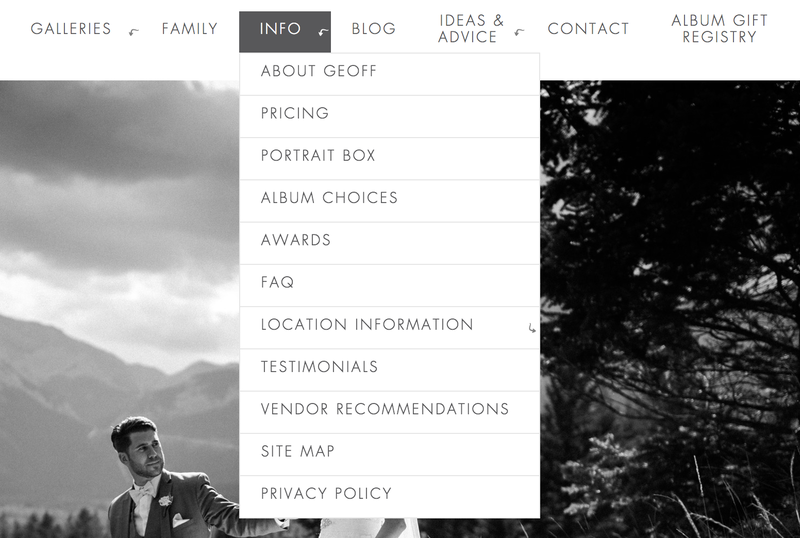 Here, we’ll give the most common options, from your post’s copy to your navigation. When you’ve written various articles about a certain topic you should link them with each other. This will show Google – and users! – that those articles are topically related. You can link directly from sentences in your copy or add links at the end of your post. Moreover, you want to show Google which of those articles is your cornerstone: your most complete article on this topic. To do so, you have to add a link to the cornerstone in all of the articles on this topic. And don’t forget to link back from the cornerstone to the individual posts. On our blog, there’s a cornerstone content article called ‘The ultimate guide to keyword research’. We want this post to rank for all related search queries about [keyword research] in Google search results. So we’ve added links from other relevant articles, such as ‘7 keyword research mistakes to avoid‘, ‘ What is keyword research‘ or ‘Focus on long tail keywords‘ to the main article. And we link back from the main article to these posts. In doing so, Google will understand that the ultimate guide contains most information about [keyword research]. So in the end, Google will rank the ultimate guide above the other, shorter posts about keyword research. Add a related post section? There are many plugins and modules that add complete related posts sections to your posts. If you use one, we recommend testing whether the related posts actually are related posts. If you’re not sure, linking to posts manually is probably best. That’s what we do on Yoast.com – we select a related post manually (or with a little help from our internal linking tool – more on that later) and place a link to that post at the bottom of the article. Michiel explains this in detail in this post about linking to related posts. Besides linking from topically-related posts and pages, it’s possible to make your cornerstone content more authoritative by adding links to it from the homepage or the top navigation. You should do this with the posts and pages that are most important to your business. This will give these posts or pages a lot of link value and makes them stronger in Google’s eyes. Taxonomies, like categories and tags, help you organize your site and help users and Google to understand what your content is about. If you have a blog it could be beneficial to add internal links to the taxonomies the post belongs to. Adding links to the category and tags helps Google to understand the structure of your blog and helps visitors to more easily navigate to related posts. The last option to mention is creating internal links to the most popular or newest posts on your website. Preferably create these sections in the sidebar or the footer of your website to have them appear on all pages and posts. As link value passes to these most popular/recent posts from many different pages and posts they really get a boost. Besides that, the posts will be easier for visitors to access, which will increase traffic – and more traffic is a positive sign to Google. You also probably have links that aren’t important for SEO on your website. If you have a login link for your clients on the homepage, for example, you don’t want to leak link value to your login page – that page doesn’t need to rank high in the search results. You used to be able to prevent losing link value to unimportant links by giving them a ‘no-follow’ tag. A ‘no-follow’ tag asks Google not to follow the link: so no link value is lost. Now you might think: “I’m going to ‘no-follow’ less important links to give the most important links more link value.” While this worked in the past, Google has become smarter. Now it seems that the link value for the whole page completely disappears when you add a ‘no-follow’ tag to a link on it. Therefore it makes more sense to have fewer links on a page instead of ‘no-following’ some of the links. Note that adding a ‘no-follow’ tag doesn’t mean that those target pages can’t be found in Google’s search results. If you don’t want pages or posts to show up in the search results you should give them a ‘no-index’ tag as well. The ‘no-index’ tag means that Google shouldn’t render the page and shouldn’t give the content a place in the Google index to show up in the search results. You can see the anchor text containing the link in this image. If you over-optimize anchor text you might hurt your website. And by over-optimizing, we mean keyword stuffing. Previously, you could give all anchor texts the same keyword and Google made your website rank higher for that keyword. Nowadays, Google is smart enough to understand that the content around the anchor text says more about the relevancy of a keyword than the anchor text itself. So make sure the anchor text looks natural in your copy: it’s fine to use keywords but don’t add the exact same keywords to every link’s anchor text. Our Yoast SEO Premium plugin helps improve your internal link structure with its internal linking suggestion tool, which helps you to find related posts to link to. When you’re writing a post, you can immediately link to a related post by dragging the link into the editor. The plugin also includes an option to mark your most important articles as cornerstone content, which tells the suggestion tool to show those cornerstone content articles at the top of the list, so you’ll never forget to link to them! 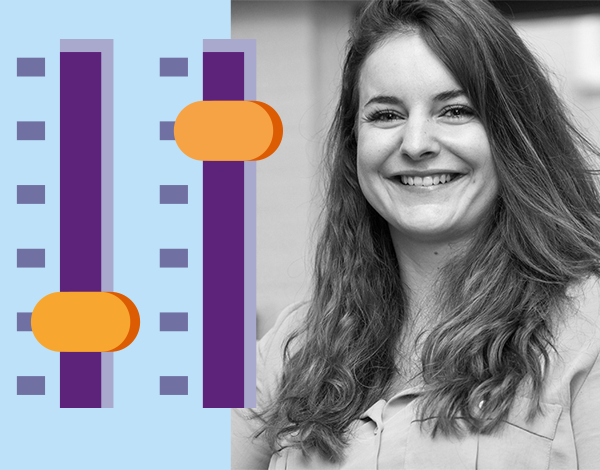 Read more about using the Yoast SEO internal linking tool. In the free version of Yoast SEO, you’ll also find a handy tool called the text link counter. This tool counts the internal links in a post and the internal links pointing to a post. This visualizes which posts could use a few more links or which ones should receive more links. This will all help you work purposely on your site structure. To make it even easier to find posts that aren’t linked to, Yoast SEO Premium has the orphaned content filter. This feature allows you to see which posts and pages aren’t linked to at all, by other posts and pages on your website. Using the filter, finding important posts that need more inbound internal links is a piece of cake! Did you know you can get a monthly or yearly subscription to all Yoast SEO plugins and courses? This way you can get the internal linking tool and access to the site structure training, for as long as you need. Learn more about the best deal for Yoast fans. Without links, your content can’t rank! With a solid internal linking strategy, you can show which content is related and which of your articles are most informative and valuable. If you follow the guidelines in this post both Google and your users will understand your site better, which will, in turn, increase your chance of ranking. The post Internal linking for SEO: Why and how? appeared first on Yoast.